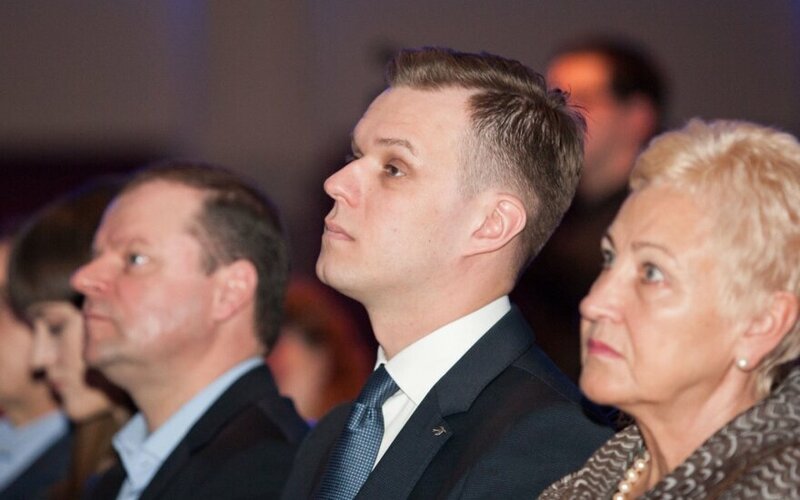 The opposition Homeland Union–Lithuanian Christian Democrats have overtaken the ruling Lithuanian Farmers and Greens Union (LFGU) as the country's most popular party, according to a RAIT opinion poll commissioned by BNS. Seventeen percent of respondents said in July they would vote for thee conservative Homeland Union and 16 percent said they would give their votes to the LFGU. The gap between the parties had been steadily narrowing for the past four months. Support for the Lithuanian Social Democratic Party (LSDP), the LFGU's junior partner in the ruling coalition, rose to 12 percent. Seven percent of those polled said they would vote for the opposition Liberal Movement. Other parties would not clear the 5 percent hurdle required to enter the parliament. The survey shows that Prime Minister Saulius Skvernelis' approval rating has stopped declining, with 45 percent of respondents rating him favorably and 20 percent unfavorably, but remains well below the 66 percent high reached five months ago. President Dalia Grybauskaitė was rated favorably by 69 percent of those polled in July and unfavorably by 9 percent. Viktoras Pranckietis, the speaker of the Seimas, was viewed favorably by 44 percent and unfavorably by 8 percent. Ramūnas Karbauskis, the LFGU chairman, was rated favorably and unfavorably by the same number of people, 32 percent. RAIT polled 1,014 people aged between 15 and 74 years on July 15 to 27. The results of the survey have an error margin of 3.1 percent. The survey was conducted shortly after the LFGU secured the Homeland Union's support for the government's state forestry sector reform overhaul in exchange for the ruling party's promised to reintroduce a reduced VAT rate on district heating. At the initiative of Gintautas Paluckas, the new LSDP chairman, the party in mid-July asked its branches to give their opinion on whether the Social Democrats should stay in the ruling coalition. The government's latest proposals for tax changes came after the survey was completed and had no impact on its results.